This series is an exposition of the OT book of Ezra. Through this series, we will see how God takes his people from a place of ruin, to the stage of rebuilding and then to renewal. 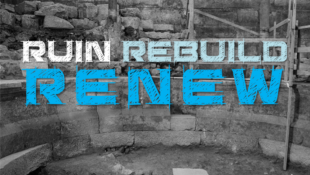 As the people of Israel come together to rebuild the temple, we will see that God is still very much in the business of taking people from places of ruin, to rebuilding and then to renewal.